Community Board 3 amended its liquor license policy to make it more difficult for bar owners to transfer the prized asset. 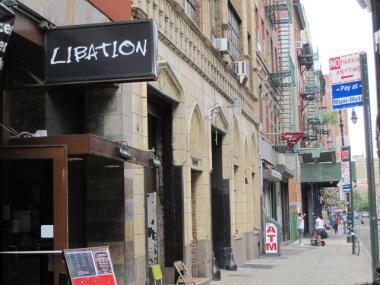 LOWER EAST SIDE — The local community board approved a sweeping change to its controversial liquor license policy that will make it more difficult for new bars to immediately start serving booze in the nightlife-rich area. After a heated discussion by Community Board 3 Tuesday, the body voted near-unanimously to amend its policy for liquor license transfers so that new licensees will not have the ability to pass long the prized asset without a full review by the board. In the past, the board had a de-facto policy in place permitting current license holders to easily transfer their liquor licenses to buyers — meaning new operators were more or less rubber-stamped, providing the location didn't have a negative history. The policy also allowed incoming establishments to immediately secure a temporary license to serve alcohol as part of the transfer process while awaiting approval of their full license by the State Liquor Authority. Bar owners on the board had long argued that the policy should remain intact to protect businesses' value in the event of a sale, despite the fact that every other Manhattan community board treats transfer recipients as new applicants during the approval process. But after approving a set of guidelines on the committee level last week that hewed to the bar owners' wishes, the board re-inserted a previous amendment Tuesday that effectively eliminated the longstanding transfer policy. The new regulations will apply only to new applicants — meaning current license holders will still be able to transfer their licenses under the old policy — but local advocates nonetheless cheered the change. "It's a good compromise," said Kurt Cavanaugh, managing director of the East Village Community Coalition, which had been pressing for changes to the policy. "We'll take the victory. It's definitely a good thing for the community." 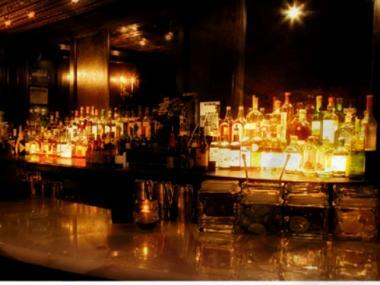 Bar owners, however, saw the move as bad for business. "It's absolutely nuts," said board member Meghan Joye during the meeting, adding that operators such as herself who have to pay steep property taxes should not have further restrictions placed on their ability to sell assets. Joye and fellow board member Ariel Palitz, who owns the East Village club Sutra, also took issue with being precluded from voting on the issue after the city's Conflicts of Interest Board ruled that they were ineligible to weigh in because of their business of interests. Palitz had lobbied for a postponement of the vote after finding out about the board's ruling only hours before the meeting. "My point is that the discussion was still open for debate in front of the full board, and I was still open to hear all arguments and to adjust my opinions if fairly convinced," she said after the meeting, noting she had worked with the board for five months to develop a new policy. "I was angered and confused by the unnecessary effort to silence our votes, when we were appointed for the very reason to represent the very significant voice of bar owners in the community." Regardless, residents who had been pushing for the policy change said their voices needed to be heard. "We live here — we want respect accorded to the fact that we've lived here for a long time, through many different changes in the neighborhood," said Judith Zabarowski, a longtime resident of East 9th Street, during the meeting. "We believe strongly that we are entitled to a neighborhood."